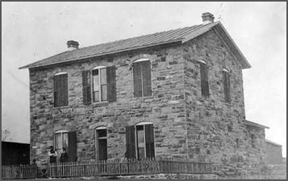 Cal Farley’s Boys Ranch began in a courthouse in the old West town of Tascosa. Beginnings, in most things, have a significant impact on journeys. The same holds for a boys’ ranch founded among the backdrop of cattle thieves and gunslingers. Our history has carried with it many traditional beliefs which have strengthened our mission and, at other times, weakened it. These established ideas included each staff member utilizing his/her own personal approach to childrearing, labeling children as sick or broken, and a heavy dosing of behavior modification. Over the past 75 years, we have grown from housing a mere 9 wayward boys to a capacity of almost 300 boys and girls, aging from pre-school to seniors. During this time we have shifted our beliefs from the more traditional to transformational. In tandem with this trend has been our progression as a trauma aware facility. Although we have been relationally focused for several years, just recently we began an intense journey of learning about how relationships and experiences impact brain development. Pioneers in the field who have guided our thinking include Dr. Karyn Purvis of Texas Christian University’s Institute of Childhood Development and Dr. Bruce Perry of the Child Trauma Academy. Childcare is a unique business. Most other work places can take advantage of an acknowledged learning curve. However because many people who come into childcare have had some experience with children, there tends to be an underlying belief that they are equipped for the task already. Many times staff had enjoyed success in raising their own children and hope to continue along that path with other people’s children. What we now know is that our history of relationships and experiences is what impacts our brain development, particularly between the ages of 0-3 (Perry & Szalavitz, 2006). What this means is our relationships and experiences during this time have a disproportionate impact on how our brains develop. Different experiences create different brains. A child growing up in a stable environment with consistent “good enough” caregiving (K. Purvis, TBRI Training Oct. 2011) will have a very different brain than a child who does not. Our field has been built on finding a name for a problem presented to us. It is our natural tendency to categorize things as it creates a sense of control. Diagnosing and labeling children releases some responsibility of others to help. Whether it is a DSM diagnosis or a term taken from the addictions arena, labeling a child Reactive Attachment Disorder or a victim is not helpful – either to the child or the people needing to provide care. These words tell you a child is struggling with relationships – and what heals relational insults are healthy relationships, not medications, isolation, punishment or labels. Behavioral modification has been a driving force not only in childcare but in the workplace as well. Even though much has been written on the negative impact this framework has on motivation, creativity, and continued positive results (please see the work of Deci, Ryan, Kohn and Pink) – we persist in sticking with it. Human behavior is much more complex than we sometimes believe. Behavior modification assumes all behavior is conscious and intentional and, therefore, controllable by external forces. Focusing on behaviors and appearances, such as using rewards and punishments to get desired results encourages the development of a false self. Institutional environments know this all too well – when the goal is short term control, what gets lost is long term, internal, authentic change. As organizations and individuals, we must continually remind ourselves why we exist – to create lasting, intentional change with the children and families we work with so when they leave our care they are successful beyond the walls of our facility. They can be relationally rich and contribute to society in positive ways – through being good parents, good neighbors, and good friends. With all the information available to us about brain development and how much we are impacted by our early relationships and experiences, we can no longer allow these traditional beliefs to persist. Moving towards a more thoughtful, individualized methodology calls us to approach childcare differently. Instead of personal parenting styles, we need to be focused on professional caring. What does it mean to take on the parental role for someone else’s child? It means the children we raise will learn how to be parents themselves through their experiences with us. Holding on to this idea, we have to be clear about what type of parents we want them to become – punitive, controlling, shaming? Or do we want children to be raised by kind, nurturing, thoughtful parents who can set limits and provide love in balance? Imagine future generations being raised by the children we care for. Are we changing their trajectories or ensuring future work for ourselves? Rather than looking at children as broken or merely a label, we need to be more concerned with what they have been through. Many of the behaviors which are termed “challenging” were successful survival responses which now, in a different context, no longer fit the situation. In trying to understand a child’s history of experiences and relationships, we can better make sense of what we are seeing and what might be reparative. If there was an opposite thought to behavior modification, it could be the idea of therapeutic discipline. Discipline is intended to teach a skill or improve a skill. If you augment this with “therapeutic” (anything that maintains or improves wellness and the relationship) then coming up with a consequences takes on an entirely different function. Asking what a child needs to learn from an incident (such as how to ask for what you want appropriately), makes ideas for punishment such as having to scrub the floor seem ridiculous. Underlying this approach is the idea kids do well if they can (Greene, 1998), rather than if they want to. This is a significant shift in how we look at behavior and what needs to happen to address it. In therapeutic discipline, the relationship is more important than anything else – the broken rule or the punishment. Because we know it is the strength of the relationship that will allow long lasting change to occur. Underlying some of the most challenging behaviors are feelings of separateness, inadequacy, powerlessness, shame, and fear. When our interventions increase these feelings rather than address them, we do more harm than good. And, often, increase and/or worsen the very behaviors we are looking to extinguish. This drives a cycle of increased control and isolation which exacerbates the issues again. It is a tiring, exasperating, winless circle – no doubt one we have all been a player in at one time or another. So how do these transformational, rather than traditional, beliefs affect the way we help children? Not so long ago, we would have met a child’s history of loss by creating more. Removing trips, activities, joy – in an attempt to control the behavior. When Sarah came to us, she was 14 years old. Having a tumultuous history of domestic violence, alcoholism, homelessness, chaos, and transitions Sarah had created quite a fantasy world. Her world included talking about Superman and a vacation she has once experienced which appeared to be a little better than it probably was. These were the only topics she was interested in discussion with the staff and other girls she lived with. However, with staff who were farther removed from her daily life she would tell extensive stories of abuse with unsettling details. Sarah’s way of relating was not uncommon for a child who had experienced the amount of abuse and neglect she had. Intimate relationships were seen as threatening, strangers were not. She had not done well in school for years, she seemed to not care about grades and rarely attended at all. She was several years behind her grade level. Sarah did not participate on any clubs or organizations. She tended to keep to herself. Sarah’s placement goals included, “improve motivation and grades in school, learn to communicate honestly, and learn personal integrity.” If we were operating off of a traditional belief system and allowed staff to parent as they did their own children, we may have decided that in order to “motivate” Sarah (externally), we needed to make her as bored and as uncomfortable as possible. We might think restricting her from activities and friends, and making all privileges contingent upon improving her grades would be what she needed. Also, the hope might be that labeling her as depressed or oppositional defiant might help find the right medication regimen to change her behaviors. However, in looking at her history of relationships and experiences we understood (because of our work with Dr. Perry) her brain development may not be that of a typical 14 year old. We could also see how her stories and the ways she interacted with others allowed her to disconnect from her feelings and avoid intimacy. In order to help Sarah, we took a very holistic approach – utilizing almost every department and role available to us. Like many children who live away from home, Sarah was concerned about being forgotten and abandoned. In order to keep her connected to her mother, we arranged for her to Skype with her once a week from her Caseworker’s office. This ability to see her house, her room, and her mother every week enabled Sarah to eventually feel less concerned about being away from home. We were also concerned about her other relationships. Because Sarah’s relationships with adults had been tenuous, we found it important to have her work with a therapist who utilized Equine Assisted Psychotherapy. In this way, a child can build a relationship with a horse. This is a safer place to start when it comes to relational healing. However, the therapist uses these interactions as models for relationships outside the therapy session. We also decided to accept Sarah’s fantastical stories as the protective shield they were – not questioning their authenticity and not ignoring. The typical response was “that’s interesting.” In this way, we did not engage in a power struggle with Sarah about whether or not she was telling the truth. It simply became a non-issue. Because Sarah slept during the day, she did not exercise regularly and did not sleep well at night. We enlisted a peer in the home who liked to walk every day. Sarah agreed to walk with her – which gave her not only regular physical activity but companionship. We also helped Sarah structure her nightly routine so that it encouraged her to be relaxed and fall asleep easily. Of course she also had clinical interventions such as Eye Movement Desensitization and Reprocessing – where memories are helped to reprocess in the brain so as to have less of an emotional imprint. Staff continued to express wanting to know Sarah and spend time with her, but she was allowed to be in control of when she wanted to talk and what she wanted to talk about. After seven months of consistent, intentional work we were able to see vast improvements in all areas of Sarah’s life. She appeared much more typical both in her appearance and her choice of conversation. She was able to maintain some peer and adult relationships. Her interactions became much more balanced and “real.” Sarah progressed so well she was able to return home to live with her mother. By meeting her underlying needs of safety (by accepting her) and belonging (by including her), we were able to extinguish her unacceptable behaviors and increase her personal motivation. After all, motivation is the belief if we engage in certain behaviors good things will happen. For Sarah, her past had proven there was no need to try because everything was out of her control. Individualizing our approach to her specific needs allowed Sarah’s internal scripts of people and the world to be rewritten – that’s true transformation. This entry was posted in Uncategorized and tagged Behavior, Bruce Perry, Discipline, Karyn Purvis, Michelle Maikoetter, Relationship, Therapeutic, Trauma. Bookmark the permalink.